Happy Monday…it’s spring break for us this week so we are trying to fill the days up with some fun. I thought I’d start my Monday with a little creativity out put. I threw this design board together with two brothers in mind. 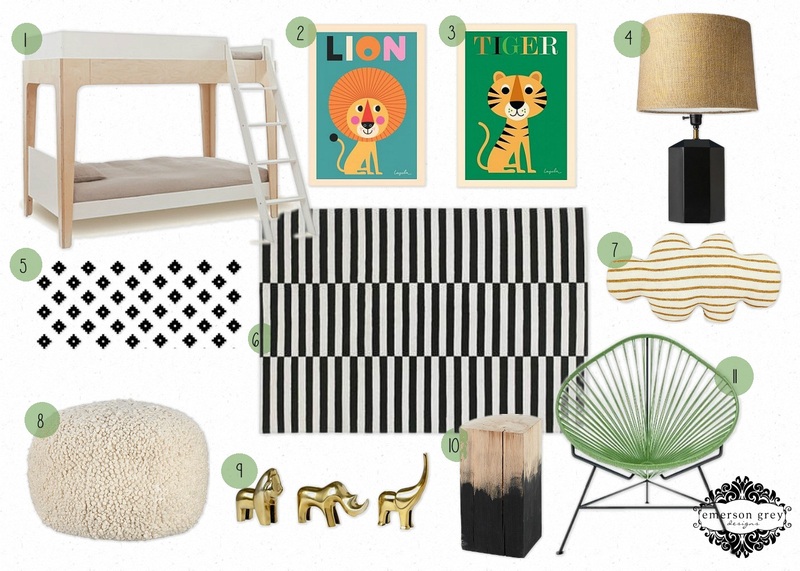 Sharing a space can be a lot of fun for kids and I thought that the “Lion” and “Tiger” prints were just the right inspiration for this room. Enjoy!